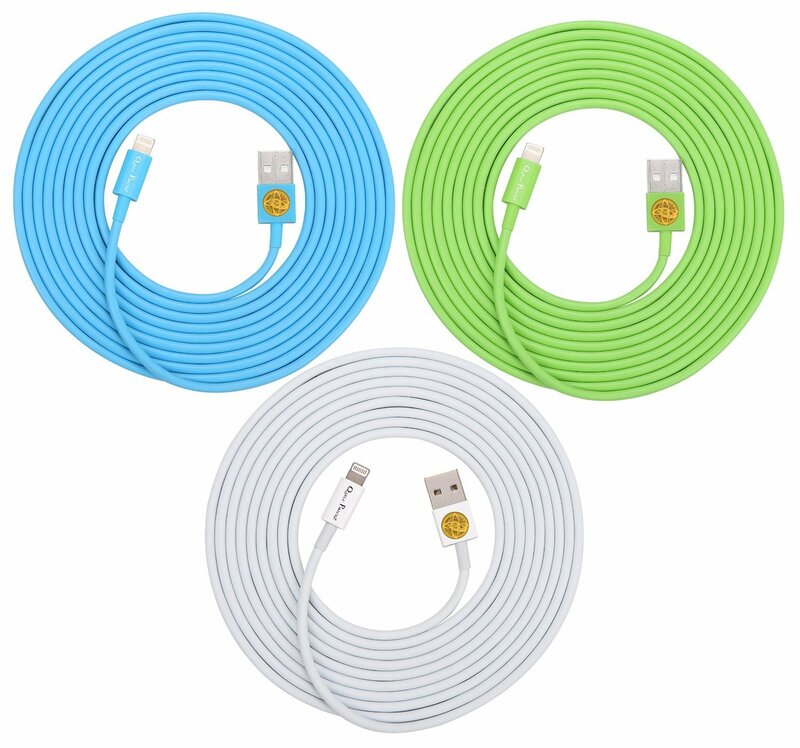 Home › Electronics › 3Pcs Of Heavy-Duty Lightning To Usb Sync Charger Data Cable Cord 10Ft / 3M Fo..
3Pcs Of Heavy-Duty Lightning To Usb Sync Charger Data Cable Cord 10Ft / 3M Fo.. Compatible with iPhone 5/5s/5c, iPhone 6/6plus, iPad mini, iPad 4th/ iPod 5th generation, and iPod nano 7th generation. NO.1 durability in the market, Light-weight and easily coiled. Perfect Fit- Low profile end guaranteed to fit to popular cases including Otter box and Life Proof. Plug and play Seamlessly sync and charge your phone at the same time on your Windows PC orMac or just plug directly into your wall or car USB charger. Perfect fit Lowprofile end is the same size as Apple's original lightning connector. Designedto work with all cases including Otterbox and Lifeproof. Product Compatibility : Works with iPhone 5/5s/5c, iPhone 6 / 6 plus, iPad 3 4, iPad Air, iPad mini 1/2/3, iPod touch 5/6, iPod Nano 7.